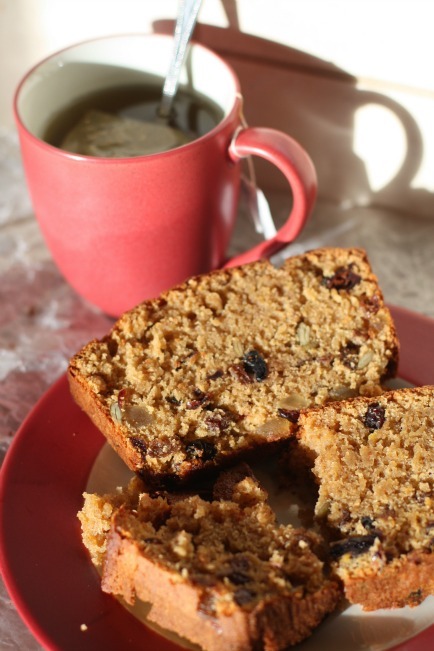 You can’t herald in the holidays without fruitcake, and have I got a recipe for you. This comes by way of Tammy Basile, owner of the lovely food blog, Basile Limeade. Tammy is a seasoned foodie and no stranger to the kitchen. Her mother used to make Amish Friendship Bread when Tammy was a little girl, so when a co-worker gave her a starter, she made about a dozen loaves with it because she had forgotten how wonderful it was. Still, to come up with this recipe she had to make her starter from scratch. She says, “I think the hardest part of making Amish Friendship Bread is the waiting. I started this recipe 9 days ago and basically had to do nothing for 8 days! Oh, the agony! Seeing that lovely, bubbly, yeasty starter sitting on the counter and not being able to do anything other than mush it once a day was pure torture.” I think I speak for everyone who has ever made Amish Friendship Bread: We feel your pain, Tammy, we feel your pain. Fruitcake gets a bad rap, and Tammy was determined to make hers different. She drew inspiration from several different recipes including Alton Brown’s recipe for free range fruitcake to create this one for the Kitchen. The result was a flavorful, spicy, rum-soaked delight. 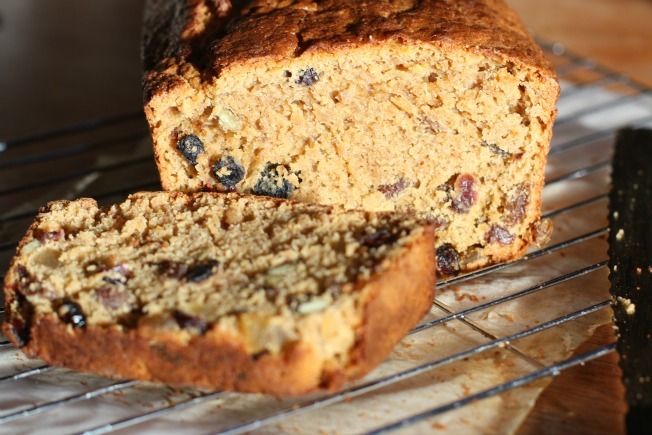 The holidays wouldn't be completed without this rum-soaked Amish Friendship Bread Fruitcake. Combine the dried fruit with rum and allow to sit overnight (24 hours is best). If you are short on time, microwave the fruit and rum for 1 minute and allow to sit while you prepare the rest of the recipe. Spray a large loaf pan with non-stick spray. Cut a piece of parchment paper to the line the bottom and two sides of the pan. In a large bowl, combine the flour, salt, pumpkin pie spice, and baking powder, set aside. In a smaller bowl, combine the eggs, brown sugar, butter, orange juice, vanilla, apple sauce and ⅓ cup of the rum from the dried fruit. 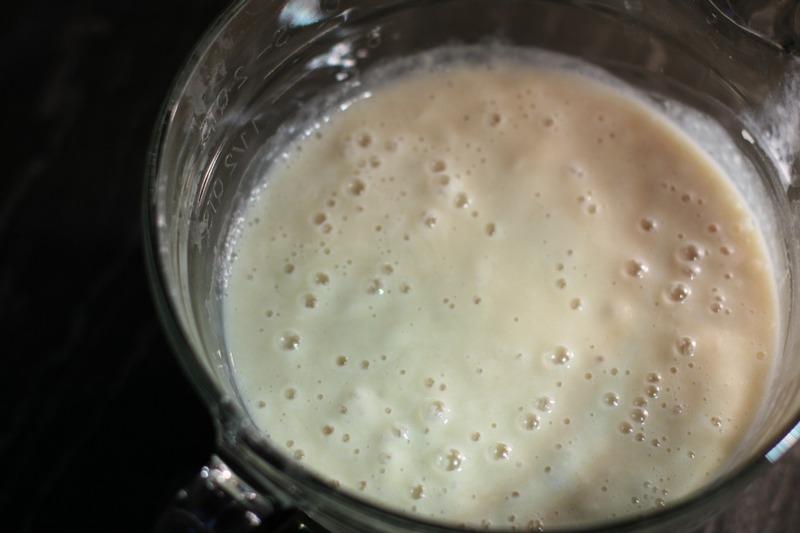 Pour starter over the dry ingredients, then add the wet ingredients and stir to combine. Add drained fruit and candied ginger, stir until just combined. Bake at 350° F for 1 hour or until toothpick comes out clean. Pick up a dried fruit and nut mix from Costco or any grocery store to help save time. The longer you can soak your dried fruit in rum, the better! Try from a minimum of one day. I would like to try this for I love fruitcake. I think this would be nicer to enjoy. It would be a new beginning for me for Christmas! One my own with my daughter. Warm, Wonderful memories to be made.